A combination of two drugs - one of them an immunotherapy agent - could become a new standard, first-line treatment for patients with metastatic kidney cancer, says an investigator from Dana-Farber Cancer Institute, reporting results from a phase 3 clinical trial. In a study published in The Oncologist, physicians treating certain cancers who consistently received payments from a cancer drug's manufacturer were more likely to prescribe that drug over alternative treatments. A combination of the immune checkpoint blocker, avelumab, plus the tyrosine kinase inhibitor, axitinib, significantly improves progression-free survival in previously untreated patients with advanced renal cell carcinoma in a phase 3 study, according to results presented at ESMO 2018 Congress. Researchers at the University of Bergen have discovered that a drug against kidney cancer possibly can fight several types of cancer. Chronic myeloid leukemia (CML) develops through chromosomal alterations in blood-forming cells of the bone marrow and usually occurs in older persons. Around 20 percent of adults diagnosed with leukemia suffer from this type of blood cancer. Pancreas cancer remains one of the deadliest cancers worldwide. In the United States, it accounts for only three percent of all diagnosed cancers but it causes almost seven percent of all cancer deaths. A pancreas cancer diagnosis often comes after age 50 and after the cancer has spread, making it difficult to remove surgically. A rabbit virus currently being developed for cancer therapy can be paired with one of several existing drugs to deliver a more potent punch to a deadly type of brain tumor cell, researchers have found. In metastatic renal cell carcinoma patients, there is no significant correlation between adverse event profiles of first- and second-line tyrosine kinase inhibitors, suggests a Japanese study. A Japanese single-institution study suggests that axitinib may be a feasible first-line option for patients with locally advanced or metastatic renal cell carcinoma. Findings from a federally funded study suggest that patients with locally advanced kidney cancer should not be treated with either adjuvant (post-surgery) sorafenib or sunitinib. The average period to disease recurrence was similar between those who received sorafenib or sunitinib after surgery (5.6 years) and those treated with placebo (5.7 years). 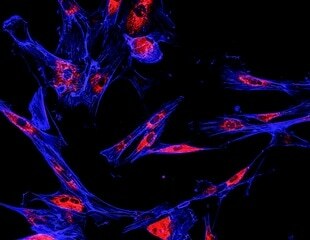 A study led by researchers at the Institute for Molecular Medicine Finland FIMM and Faculty of Medicine, University of Helsinki and the Helsinki University Central Hospital Comprehensive Cancer Center, in close collaboration with researchers at Pfizer, has identified a previously unrecognized action of Pfizer's axitinib as a potent inhibitor of the dominant mutation that confers drug resistance to all well tolerated treatments in patients with certain types of leukemia. Axitinib treatment is effective in the long-term in Japanese patients with metastatic renal cell carcinoma and has manageable toxicity, a phase II study suggests. Treatment with the vascular endothelial growth factor receptor inhibitor axitinib does not adversely affect renal function in patients with metastatic renal cell carcinoma even in the presence of proteinuria, a Japanese study indicates. A pharmacokinetic–pharmacodynamic model shows that diastolic blood pressure rises with increasing doses of axitinib in patients with metastatic renal cell carcinoma, US researchers report, although this relationship is not linear. Treatment with tyrosine kinase inhibitors does not appear to significantly impair health-related quality of life in Japanese patients with metastatic renal cell carcinoma, say researchers. The cancer drugs, radiation therapy and cancer surgery available today help millions of people survive their cancer. Treating patients with nonmetastatic clear-cell renal cell carcinoma with the tyrosine kinase inhibitor axitinib could not only prevent disease progression, but also shrink tumours before surgery, show the results of a phase II trial. Pfizer Inc. announced today that it has agreed with Merck & Co., Inc., known as MSD outside the United States and Canada ("Merck"), through two Merck subsidiaries, to explore the therapeutic potential of Merck's investigational anti-PD-1 therapy, MK-3475, in combination with two Pfizer oncology assets. Exelixis, Inc. today announced it has initiated METEOR, a phase 3 pivotal trial comparing cabozantinib to everolimus in patients with metastatic renal cell carcinoma who have experienced disease progression following treatment with at least one prior VEGFR tyrosine kinase inhibitor. Studies in animals have raised concerns that tumors may grow faster after the anticancer drug sunitinib is discontinued. But oncologists and physicists who collaborated to analyze data from the largest study of patients with kidney cancer convincingly demonstrate that such tumor acceleration does not occur in humans.